Recall that an ellipse is a locus (set) of points in the plane for which the sum of the distances from two fixed points, called foci, remains constant. 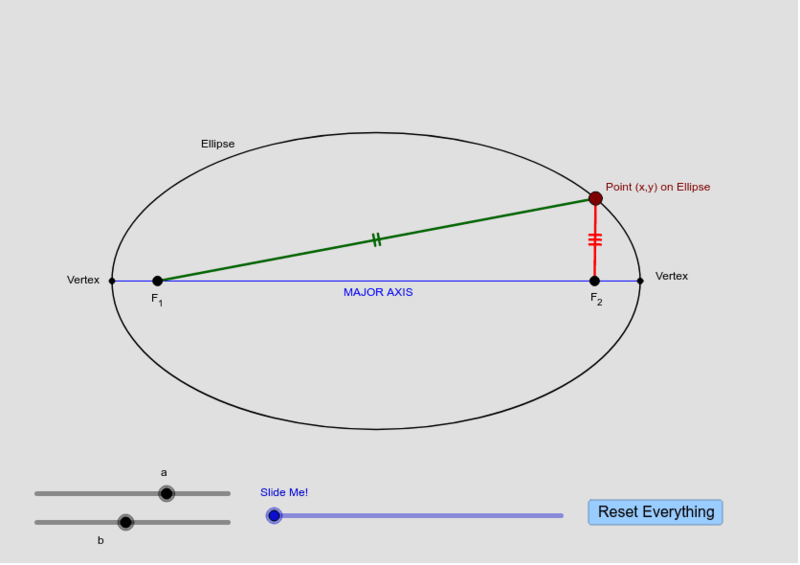 In the applet below, feel free to adjust the black siders and the location of the brown point (x,y) on the ellipse before dragging the blue slider. What is the value of this special sum?